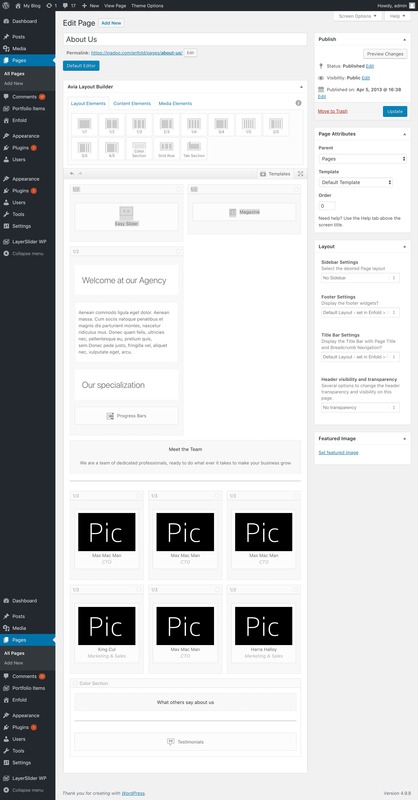 Enfold is a multipurpose fully responsive theme for WordPress. First of all, when we installed this theme we were surprised to see that there were no plugins. All the features are embedded in the theme which makes the installation faster and easier. The demos are predefined layouts which can be used by the web developer to build a website quickly. Those predefined templates are good for building a small or medium-sized company website, a law firm website, a factory presentation website, a trading company website, a freelancer website, a portfolio website, a medical website or a restaurant website. If you are looking for minimalist, neutral, flat and clean page design, Enfold is for you. Enfold is perfect for corporate websites because it is a neutral website that emphasizes the text without looking amateurish. 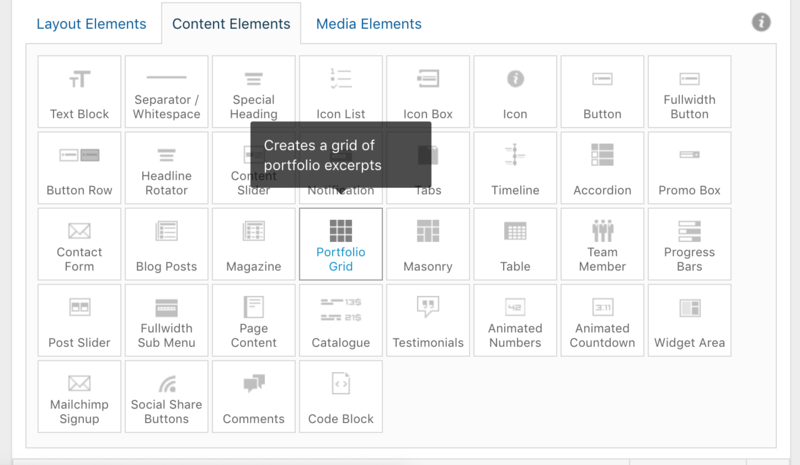 Enfold comes with its own page builder named Avia layout builder. It is a very fast page builder that works on the back-end. It allow to choose a layout with the number of blocks per page (1,2,4…). Then, the user can drag and drop different blocks. Building a page is extremely fast. Enfold’s page builder “Avia” on the post edit page. The theme options panel of Enfold let you customize the theme. However, you must modify the CSS if you want to really modify the fonts and the sidebar titles and text. Enfold is good for the web designers who want to start from a neutral, minimalist, clean design and build the website using CSS. Enfold has everything from a classic blog but it is well coded and everything is in place. I found that I needed less CSS to build a website that looks the way I want with Enfold than with a Genesis child theme. Enfold is one of the fastest WordPress themes. It gets an impressive 100/100 score at GT Metrix. The Enfold back-end and front-end pages load faster than the Avada or Genesis pages. There aren’t any strange CSS behavior when an enfold page is loading. For example, we don’t see during 500ms unformatted text before it gets displayed. Please find below one of the default layouts of Enfold. Fyi, we modified the CSS of the main text using the child theme. Enfold benefits from a large community so that you can ask a question on their forum and you will get an answer.